My friend Jerri and her husband, Preston, are up in Hayward, WI and she just sent me these pictures of a deer swimming. I don’t know what camera they’re using, but the picture quality is amazing — you can see the individual drops of water. 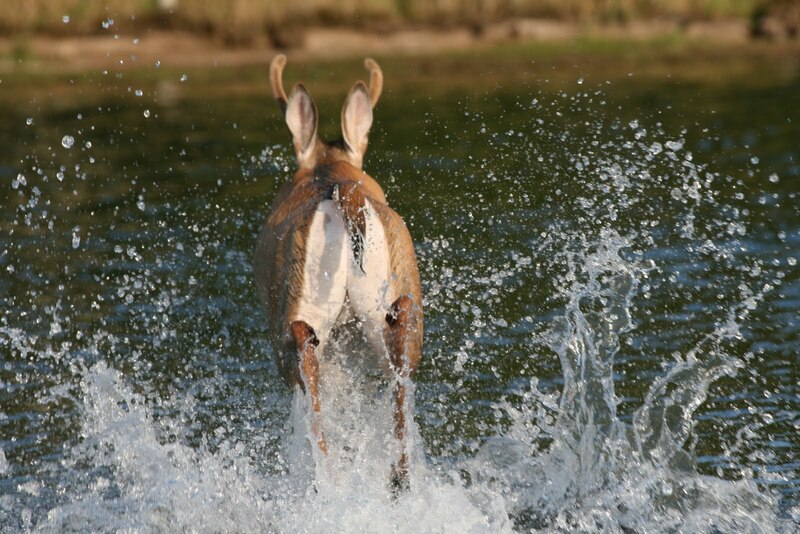 I had never seen deer swimming before, so that makes them cool as well. I should note that Jerri and Preston retain their original copyright on these pictures and my posting them here does not give anyone any permission to use them in any other manner, including emailing them.